Ranger Jack is a one man band available for hire in So Cal for libraries, school assemblies, pre-school summer shows, birthday parties, family functions and special events. His preschool, K-6 and family songs are highly interactive, educational, fun and entertaining for the entire clan. 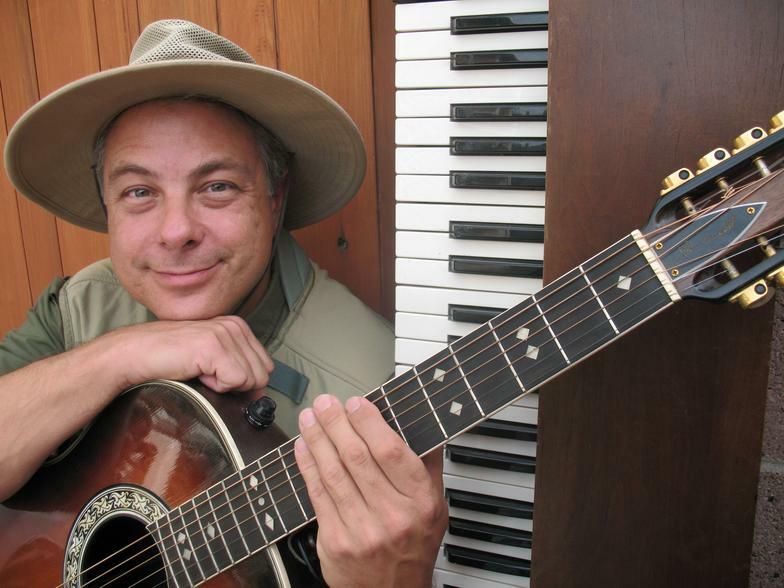 Singer/songwriter "Ranger Jack" engages his audience with a fun and educational performance of children's songs on piano and guitar. He greatly involves the children as they interact and sing along. Then his hilarious puppets simply steal the show! More than 20 Animal Puppets Join Ranger Jack for another year of fun, fun, fun! Besides all the parents who have hired me for birthday parties over the years, whom I am so very grateful to, I'd like to thank the schools, libraries, cities, shopping malls, and museums of Orange County, LA County and Riverside County (Inland Empire) of Southern California that have hired me since my debut performance in August of 2012--Huntington Beach Library's Concert in the Park (thank you Barbara). Riverside Library * Katie Wheeler Library * Irvine Preschool * Burbank Public Library * Bella Terra Mall * Irvine Preschool * La Habra Preschool * Lake Elsinore Outlet Mall * Baldwin Park Public Library * San Fernando Valley Public Library * City of Redlands * Covina Preschool * Hemet Public Library * Rancho Cucamunga Archibald Public Library * Placentia Preschool * Yorba Linda Preschool * Rosemead Public Library * Wiseburn Public Library * Costa Mesa Donald Dungan Public Library * Desert Hot Springs Public Library * Brea Public Library * Murrieta Public Library * Yucaipa Public Library * Calabasa Public Library Yorba Linda Public Library * and MORE from 2016.
and MORE from 2015 as well as 2012--2014.